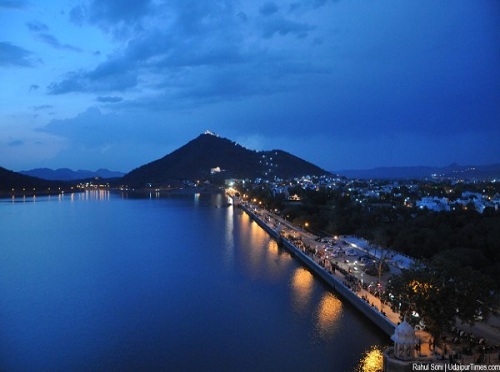 Udaipur is the city of likes and can be rightly called Rajasthan’s very own Shimla. With rugged Aravalli mountain range surrounding the old Rajputana city the beauty and glamour is inexplicable. You have to visit it to understand the beauty that has been praised by many famous poets and writers. Om Travel Online is here to provide you with excellent taxi services in Udaipur. Om Travel Online offers you best cost efficient domestic tour packages in Udaipur. 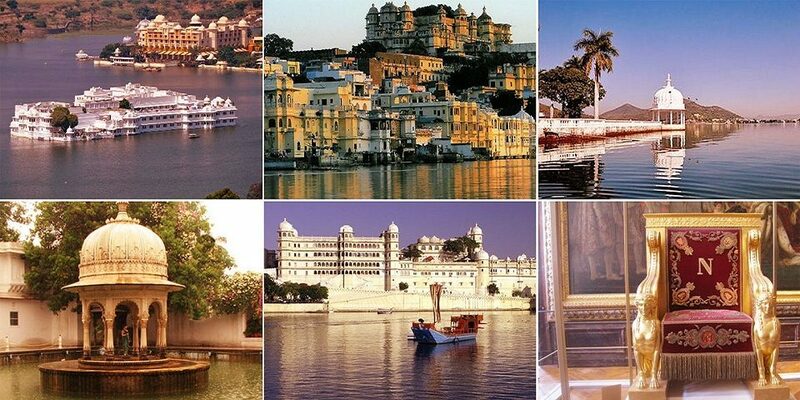 Through this article we will provide a list of all major tourist attractions in and around Udaipur. Our tour packages are customizable and you can choose your visiting stops according to your taste and number of days you plan to stay in Udaipur. Lake Fateh Sagar and the aquarium world: Fateh Sagar lake is the biggest lake in Udaipur and gives you a spectacular view. On the Fateh sagar pal is the newly built aquarium that houses more than a hundred exotic fishes from all across the world. For marine life lovers, this is a must in their itinerary. Along the banks of Fateh sagar there are a number of street style eateries as well as some luxurious restaurants like Ranaji, Rajbagh, Panna villas etc. that let you indulge in some of the finest traditional as well as continental dishes. Lake Pichhola: This is a manmade lake approximately 4kms long and offers regality at its best. Surrounded by world-class hotels and restaurants like Amrai Lake Pichhola is a beauty worth visiting. It has become more famous due to its Ganagaur ghath where shooting for Ramleela movie took place. The scene where Ranveer singh dives in a lake while Deepika Padukone is standing at the other shore was shot right here. It also houses two jewels in form of islands: Jag Mandir and Jag Niwas. We highly recommend visiting this place. City Palace: Exquisite architecture, royal charm and old world feel make this palace truly unique. Built by the ruling Mewar royals the city palace offers tourists amazing experiences in form of vintage car museum, crystal gallery, Maharani Palace, Dawat-e-khas, Dawat-e-aam etc. A light and sound show is organized here every evening. Jagdish Temple: Built by Maharana Jagat Singh this temple is a splendid example of Indo Aryan architecture. It is one of the most historical spots as it commemorates the braveness and valor of Mewar royals in defending the temple from plunders of Mughal army. This temple is must visit for both its history as well as religious significance. The walls of this temple have been beautifully carved and painted by the tales of Rajput bravery against the Mughals. Saheliyon ki Bari: Built by Maharana Bhopal Singh, saheliyon ki Bari is an interconnected collection of lovely gardens adorned by finest crafted marble sculptures, lotus laden ponds and amazing fountain works. This place was built as a recreational place for princesses and their maidens. You can spend some time here relaxing amidst pristine lush greenery and some drop dead gorgeous background for your photo session. With Om Travel Online you can easily book taxi service in Udaipur or opt for car rental in Udaipur. Book now and avail some amazing discounts.